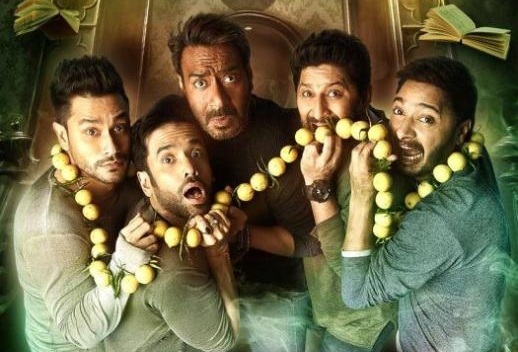 Golmaal Again 2nd Day (Saturday) Collection Early Trends. Massive Day Awaits! Golmaal Again is heading for a massive day again at box office as early trends for Saturday (2nd day) are coming in. Film has hold extremely well today. This is simply terrific news! Golmaal Again has opened to 60% in Morning shows of Saturday. Film showed huge growth in Noon and Afternoon to register occupancy of around 80-85%. Film hold absolute strong in Evening and Night shows and in fact showed even better occupancy which is in the region of 85-90%. When samples of Saturday are compared to Friday film has shown nominal drop of just 5-10%. Early trends suggest, Golmaal Again is heading for a huge Saturday. Film 2nd day collection should cross 25 crore nett for the day. In fact samples suggest, it is heading towards 27-28 crore nett mark. These are very early estimates from limited samples and actual may vary. Also, major reports from interiors and single screens are awaited for the day. Hope film holds strong there also. Aisha... sunny chichi kidhar hai? I know you, you are user of indicine.Right? My id from that site is Myanmar Yangon. Did you recognize me? Happy for golmaal but sad coz golmaal not release my country. Ohh how can i forget you!!! How are you ? Hows Yangon? I was to busy in the hospital but will find time and watch it tomorrow!! Heard about it Ajay has done it again!! @Sunny Chechi? He must be there on Bolly arena using his anger to bash Ajay Sir! Nice hearing from you Sunil ,take care rgds to family! Yangon (Rangoon) extremely important for us because nobody attack minorities in Yangon. I think it goes something between 32 -34 crore..Bz screens has been increased approx 3700. Sayad ek bat notice k hai mene k aplog khan's ko jyada tawajjo dete ho. Abhi unki film hoti to badh Chadh k likhe. Aur unke fans aise nachte jaise wo unke param bhakt hai..Agar collection kam bhi hua to 30++ to sure hoga yar..
What has happened to indicine?? Ajay se rohit hai.sabhi ne dekha dilwale ke flop hone ke baad rohit ko ajay hi kyun yaad aaye .rohit ka success rate ajay se juda hua hai.Nina ajay ke rohit ko 100% success nahi milegi.